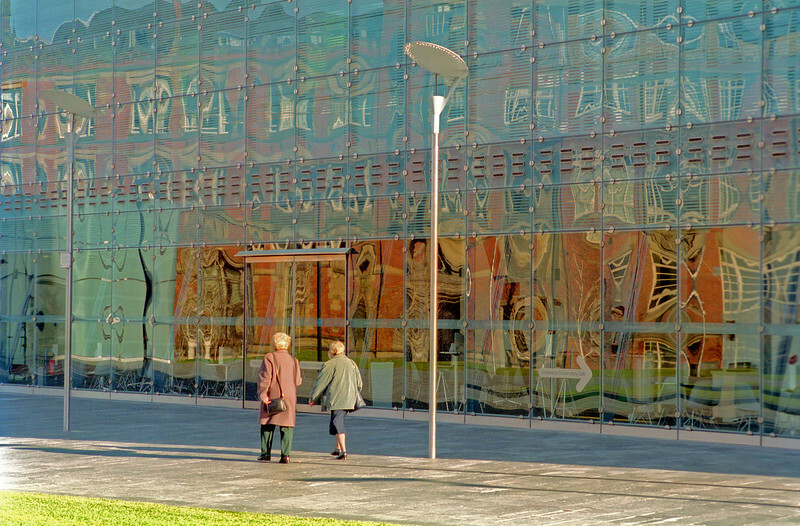 Chetham's School, Manchester, in the façade of Urbis, 2003. M6, Summicron, scanned from neg. Fantastic photo -- love the colours and the distortions, great composition and detail.